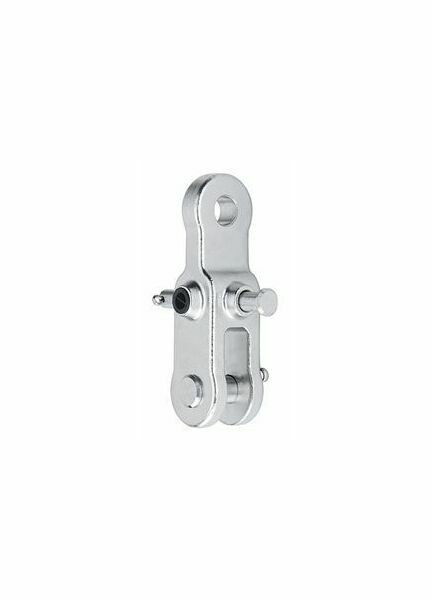 This Eye Jaw Reversible Toggle Assembly, with 12.7 pin, is a deckgear item from Harken that accepts standard turnbuckles using swage, rod, Norseman®, or Sta-Lok® terminals. 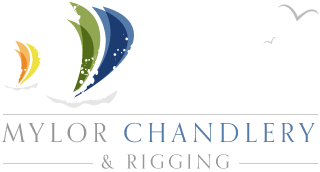 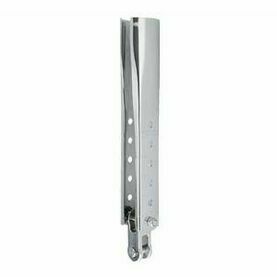 The toggle flips for fork or tang chainplate installation. 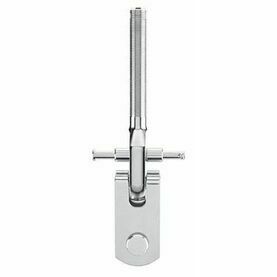 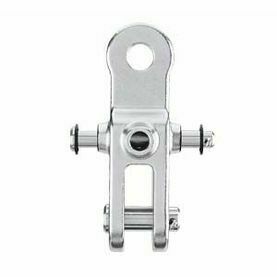 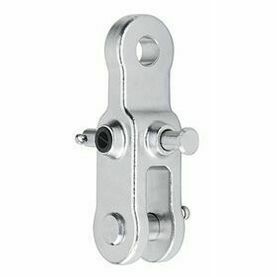 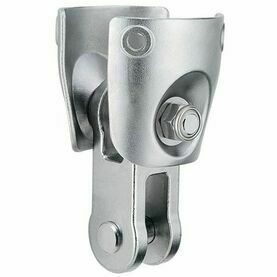 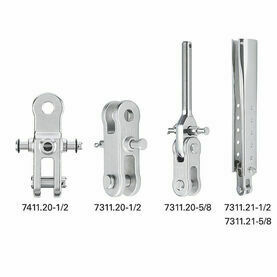 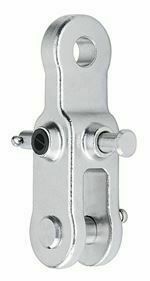 A single stainless steel clevis pin provides access to the turnbuckle for adjustment.